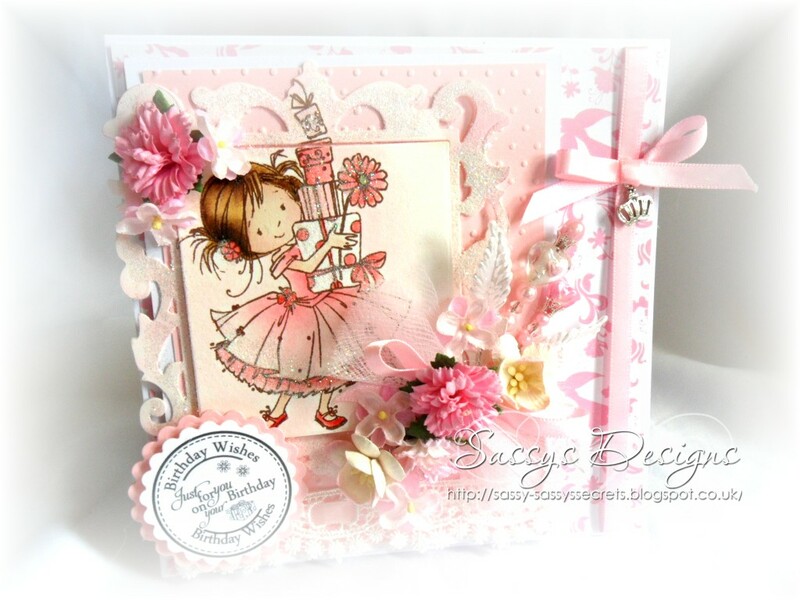 A beautiful card Sassy, with such a cute image and gorgeous flowers. gorgeous card Sassy, and love the colouring you've done - looks wonderful! and the layout and embellishments just finish it off perfectly! Ooh this is really scrummy Sassy!! what a sweet image and you've coloured her to perfection!! Love the gorgeous papers and embellies!! Beautiful Sassy!!! such stunning colours, your image is adorable & brilliantly coloured......your details are breathtaking. A gorgeous card Sassy! Dawn is so lovely in her pink dress, and you have decorated so beautiful! I try to be a follower, but.. 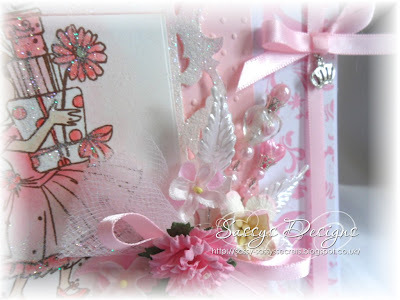 This is gorgeous Sassy, I like the embossing the sweet image and the embellishments. so lovely and so many lush embellies to be discovered!! I'm not a sporty gal neither, but will go for a serious fast walk in the woods later... I have to loose some weight, so I have no choice LOL!